What is a Malware Scanner? Malware is defined as “software that is intended to damage or disable computers and computer systems.” The effects of a malware attack can leave hardware completely damaged, causing the user to have to get a replacement. Types of malware include ransomware, adware, viruses, phishing, trojan horses, rootkits, worms, etc. In order to successfully detect malicious code and stay protected from online threats, a malware scanner is a necessary part of your security posture for discovery. =. With millions of new malware strains detected every day, websites are extremely vulnerable to malware attacks, and by leveraging a malware scanner, users and website owners can detect threats early and prevent them. A website will likely be up against numerous potential vulnerabilities, and should implement a malware scanner into its security to easily spot the most dangerous vulnerabilities. By doing so, you will reduce the risk of hackers finding your website and attacking it. How to Scan Your Computer for Malware? Before you get started with the process, disconnect from the internet and restart to login to Microsoft Safe Mode. Disconnecting from the internet ensures the infection is contained. If the malware is designed to load automatically when Windows starts, entering this mode may prevent it from doing so. Before running the malware scanner, while in safe mode, be sure to delete the temporary files. This step is essential because it speeds up the malware scanning process and also gets rid of some of the known malware. Running an effective malware scanner is more than enough to remove most standard infections. If you already have a malware scanner installed on your computer, you should still ensure it’s up-to-date. If you don’t have one, be sure to download a malware scanner. If you are sure that the computer is infected, you should use an on-demand scanner, such as the Comodo Cybersecurity Malware Scanner. Hackers and online criminals wait for the right moment to attack your device. In addition to an antivirus program to remove the infection, you’ll also need a malware removal tool. Below are the top three best free malware scanner tools available in the market today. First on the list of best free malware scanner tools is the Comodo AV for Windows 10, available for both commercial and personal use. This effective software prevents infections during browsing and keeps computers secure while performing sensitive transactions online. 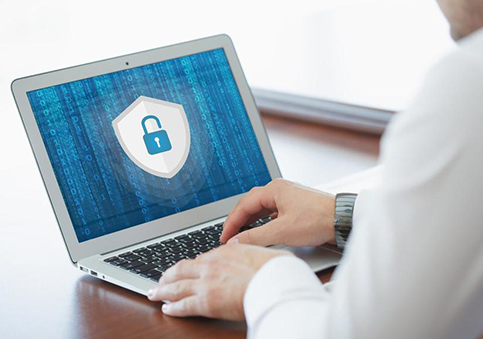 The Comodo Antivirus Software consists of multi-layered levels of malware removal and protection to keep your system safe. It contains the host intrusion prevention system (HIPS), Defense+ and Auto Sandbox technology. This is another effective, free malware scanner that provides daily updates. With Malwarebytes Anti-Malware, new threats to your computer will be identified and removed, ensuring protection. Malwarebytes Anti-Malware offers a 14-day trial of the premium edition for the first time users . 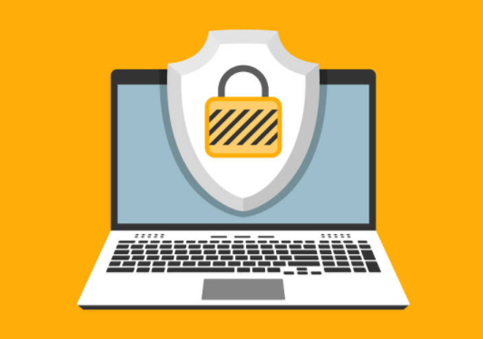 You’ll be afforded preventative tools like real-time scanning and protection from ransomware. After two weeks, it reverts to the basic, free version. The BitDefender Antivirus Free Edition software contains an anti-malware engine to keep infection away and resolve any existing problems. All suspected files and folders are found and quarantined separately. It prevents all attacks and online dangers from causing damage to your computer. The Chinese cyber spies have infected the servers used by over 30 US companies that includes Amazon, Apple and even government contractors as per the Bloomberg Business week. The armed forces of China are forcing the manufacturers to insert micro-chips into US-designed servers. The chips were not bigger than a rice grain, however it is capable to undermine the capability of the hardware that has been installed, creating a backdoor for the malicious code like Trojan horse to enter or even draw off data. The IT security experts of Apple and Amazon have confirmed that they have identified the attack process by performing internal validation and have reported on the same to US authorities. Bloomberg Businessweek reveals that there is no proper authentication that the confidential business’ and customer’s data were stolen, However, both the organizations have removed the infected servers from the infrastructure. The attack was was performed through a US-base company Super Micro Computer Inc, most popularly known as SuperMicro. SuperMicro is known to be the largest supplier of motherboards which outsources the manufacturing of the motherboard to factories based out in China. The motherboards manufactured by supermicros are used worldwide as a part of weapon systems, MRI machines, other specialist products and for datacenters that are used by companies that involve manufacturing of technology. The company is involved in manufacturing servers for many tech-based companies that also included Elemental Technologies which is a small start up focussing in compressing videos which was later acquired by Amazon in 2015. As per the Bloomberg reports, the Chinese miltary targets Elemental through Supermicro – as the servers manufactured by Elemental could be found in Data centres of the Department of Defense, Drone operation of the CIA and the Navy warships’ networks and thousands to add to the list. Apple did separate its partnership with Supermicro in 2016, however the company stated that the reason behind it was a minor security incident. Amazon sold it’s Chinese infrastructure to its opponent to deny Supermicro’s compromised servers. The tech giant also confessed on the findings of vulnerabilites in the supermicro’s software products. Facebook, found issues with Supermicro’s products and therefore removed the servers from the data centres. Network access control (NAC) refers to a method that helps in boosting the safety of a patented network by limiting the availability of network resources to endpoint protection devices that follow a defined security policy. A conventional network access server (NAS) is one that can carry out functions like authentication and authorization for potential users by confirming logon information. NAC also restricts the data that can be accessed by individual users and implements anti-threat applications such as antivirus software, firewalls, and spyware-detection programs. NAC can also regulate and restrict the things individual subscribers can do after they get connected. NAC products have been introduced by a number of leading networking and IT vendors. NAC is perfect for agencies and corporations where it is possible to rigidly control the user environment. A few administrators have indeed stated their doubt about the usefulness of NAC deployment in networks with huge numbers of diverse devices and users, the nature of which change on a constant basis. An example here refers to a network for a large university with numerous access points, multiple departments, and thousands of users with different objectives and backgrounds. Why is it Important to have a NAC solution? It is becoming a growing necessity to possess the tools providing the access control, visibility, and compliance capabilities essential for strengthening network security infrastructure. This is true because organizations are now expected to account for the exponential growth of mobile devices accessing their networks and the security risks they bring. A NAC system is important at it will deny network access to noncompliant devices, give them only restricted access to computing resources, or place them in a quarantined area, thus keeping insecure nodes from infecting the network. What are the General Capabilities of a NAC solution? Guest networking access: Takes care of guests via a customizable, self-service portal that comprises of guest authentication, guest sponsoring, guest registration, and a guest management portal. Security posture check: Assesses security-policy compliance by device type, user type, and operating system. Incidence response: This involves mitigating network-based threats by employing security policies capable of blocking, isolating, and repairing noncompliant machines without administrator attention. Bidirectional integration: With NAC, it is possible to incorporate with other security and network solutions via the open/RESTful API. Policy life-cycle management: Enforces policies for all operating scenarios without the need for separate products or additional modules. Profiling and visibility: Recognizes and profiles users and their devices before any damage can be caused by malicious code. What is Endpoint Network Security? Endpoint network security protects a corporate network via focusing on network devices (endpoints) by monitoring their activities, software, status, authentication, and authorization. Endpoint security is considered to be an increasingly vital element for corporate networks as an increasing number of employees and authorized outsiders (including, consultants, customers, business partners, and clients) are granted network access via the Internet and/or a wide range of mobile devices. 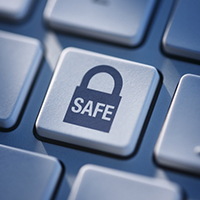 Technological advances are boosting the development of endpoint protection. Security elements presently comprise of intrusion protection and prevention, and also behavior blocking software that will help monitor endpoint protection device activities for unofficial applications or malicious intent. There are a few complex endpoint protection programs that focus on user device authentication. As a user tries to login, credentials are validated, following which the device is scanned for compliance with corporate policies, which may include a scan for unlicensed software, antivirus software, a firewall, updated virtual private network (VPN), mandatory corporate software and an approved operating system (OS). Devices that do not meet such corporate policies may be given limited access or quarantined. This is called network access control (NAC), which is used for unifying many elements of endpoint network security. Access is mostly provided according to the user’s profile. For instance, a human resources (HR) employee may be granted only general access to a network and HR department files. First detected in 2007, Zeus is a malware tool kit that runs on Windows version also known as Zbot, and enables the hackers to generate a new trojan horse. Trojan horse looks genuine on the internet, but in reality it’s a dangerous malware. This enables non-programmers to buy Zeus in the black market and perform cybercrimes against their target victim. Per the 2010 reports, a Zeus package starts at about $3,000 and if there is a requirement of any extra modules, it goes up to $10000. Zeus Trojan is used to gain access to banking credentials through keystroke logging, man-in-the-middle attacks, it is also deployed to install the CryptoLocker ransomware. What Zeus Virus Does to Computers? It creates a botnet by a secretly formed network of corrupted machines controlled and monitored by a command and control server and a malicious author. The malware author typically steals an enormous amount of information and also performs attacks on a large-scale. Zeus behaves as a financial service Trojan developed by the hackers to steal banking details from infected devices. The malware author performs the attacks through keylogging and website monitoring, which enables the malware to identify when the user is on a banking website so it can document the keystrokes used while logging in. The trojan then escapes the existing website security as the login keystrokes were already recorded once the user attempts to enter the banking website. There are a range of Zeus variants that can affect mobile devices, in an attempt to gain access to two-factor authentication. Initially, Trojans only affected computers that run on Microsoft Windows OS, however, the latest versions have evolved to attack and infect Android devices, Symbian and Blackberry devices. The Malware author unveiled the source code of Zeus to the public in 2011. This gave way to the creation of new variants of the Zeus Trojan. How the Zeus Virus Infects Computers? Malware authors attempt to infect websites by inserting the Zeus code into a website that the users trusts to be genuine. The malware gets installed into the website when the user enters the website. Hackers or cyber criminals send spam messages through phishing emails, and malicious social media campaigns that intend to spread malicious infection through messages and social media posts. The emails look genuine and when users click on the link in the message or email, they are redirected to a malicious website. Zeus is robust and efficient, and is configured to gain access to social media and email login details enabling the malicious botnet to send spam messages from genuine sources hence the scope of infecting the victims go high. Any Windows user can be a victim of the Zeus botnet. Zeus has infected a huge amount of PCs with different versions. Since its inception, Zbot has been leveraged to steal confidential data from The Bank of America, US Department of Transportation, NASA, and private companies like ABC, Oracle, Amazon and Cisco. How to prevent the Zeus trojan Using Comodo Advanced Endpoint Protection? Endpoint Protection delivers complete protection, even against the most threatening zero-day and unknown threats. Comodo Advanced Endpoint Protection (AEP) features Default Deny Security with Default Allow Usability. This solution denies unknown suspicious files from running on a virtual container called the sandboxed environment, where the unknown files are executed without affecting the user experience. IT and security management platform assists devices of the OS (Linux, Windows, Linux, Android, OSX, and iOS devices that are inter-linked to all the physical and virtual networks. It is essential to understand the key features of a security product – to decide if the product is all good to match your business requirements. Choosing and identifying the right and reliable product is certainly a main criteria to provide complete protection to the endpoints. To fend of the brute forces it is essential to equip the security arsenal with Comodo Endpoint protection as it integrates some of the future-proof security techniques like default deny solution, along with containment technology to deliver protection and absolutely deny malicious activities.